Menotomy Bird Club Meetings are held at the Fox Library branch of the Arlington Public Library, located at 175 Mass Ave on the corner of Cleveland Street and Massachusetts Avenue in Arlington (roughly across from the Capital Theater). Take the side entrance on Cleveland Street and the room is downstairs. 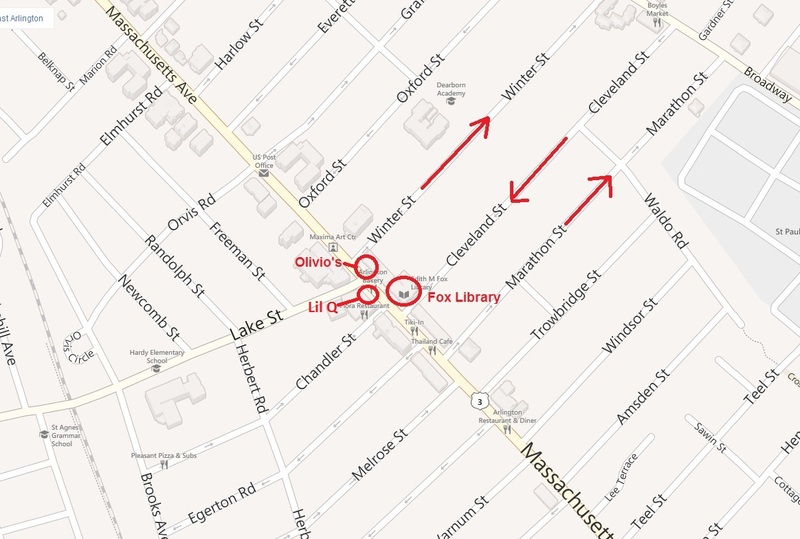 Note that Cleveland Street is one-way heading toward Mass Ave, but you can take Winter or Marathon Street, turn on Broadway, then down Cleveland. There is generally parking fairly near the library, but worse case you can always circle around again. From Route 2, take the Lake Street exit, and at the end of the ramp turn right onto Lake Street, which leads you to Massachusetts Avenue. Best to Park on Cleveland Street, so you have to take either Winter or Marathon to Broadway and come back on Cleveland.